With high energy guitar playing, driving bass, powerful drums, and soulful vocals, Third Time ‘Round is a band to sit up and take notice of. With a combination of originals and re-worked covers this young Blues/Rock band is made up of siblings James and Rory Shepherd with Regan Dale and Leni Campbell-Clause. This band is truly bringing the blues to the next generation. Their music, which is influenced by legends such as Stevie Ray, Hendrix, Bonamassa, Clapton and Zeppelin to name only a few, is a blend of vintage and modern blues styles – a perfect mix for today’s blues audiences. 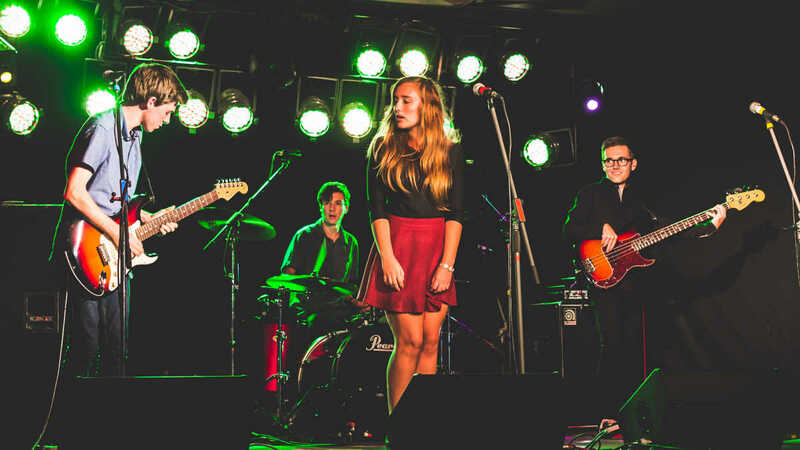 In early 2015, TTR were chosen to represent Blues at Bridgetown at the International Blues Challenge Youth Showcase in Memphis, Tennessee – the only youth band to represent Australia at this prestigious event – where they played alongside the best blues musicians the world has to offer, on the legendary Beale Street. TTR has consistently been judged to be an outstanding example of a band with great musicianship, style and performing ability. These rare qualities, especially in young blues bands, has earned the group the Emerging Artist Award at the 2015 Nannup Music Festival, 1st place in the Sound Overload Battle of the Bands competition in Perth and the Shift Youth Arts festival Bunbury Battle of the Bands. They have performed at some of the finest venues in the South West – the Perth Blues Club, Prince of Wales Hotel, Paddington Ale House and South West Blues Club to name but a few. Guitarist Rory has been playing for four years, showing natural affinity and flair for the instrument. He won the Kosmic Sound Shredfest Guitar solo Competition 2013 in Perth, and it’s no wonder with his at times blistering attack on the fretboard and at other times a sensitive, soul-searching style that belies his 17 years. Vocalist Leni (pronounced Lay-knee) has a style that well surpasses her young age. Her ability to convey the emotion in her voice is one that is perfect for singing the blues. Her ability to make a song her own and her expressive voice is a great asset to the band. One half of the rhythm section James, the bassist, is a talented multi-instrumentalist with a love of the blues and a great knowledge of how to hold a band together. He adds his own unique interpretation of the genre to the band’s sound, without losing the feel of the music that inspires him. The other half, Regan, the band’s drummer, has been on the drum throne ever since he could reach the pedals. He has great freedom on the kit and with a brilliant sense of dynamics and timing, Regan is the band’s engine. All four members work together to create a fresh new style of blues, while also paying homage to the greats of the genre, past and present – and this year, that sound was captured in their first release, the EP titled Speechless.